I'm an orator and I've won many prizes. I have also taken part in many competitive exams and scored a good rank it them, around 4000 among 11 thousand children.... But the thing i hate the most is that my parents are always after me to score full in all subjects. I have been scoring full when i was in junior classes.. But they don't understand that now i've grown up and the level of studies has also boosted up. I sometimes not able to achieve good marks, for which i am scolded a lot. Sometimes I feel that what is the use of such knowledge i have when i can't have good marks. Sometimes i am so depressed that i even think of committing suicide. But then i think ts the only life i have and i should prove to all those who think that my graph is going down. Its not just me but many other children in India who face the same. The no. 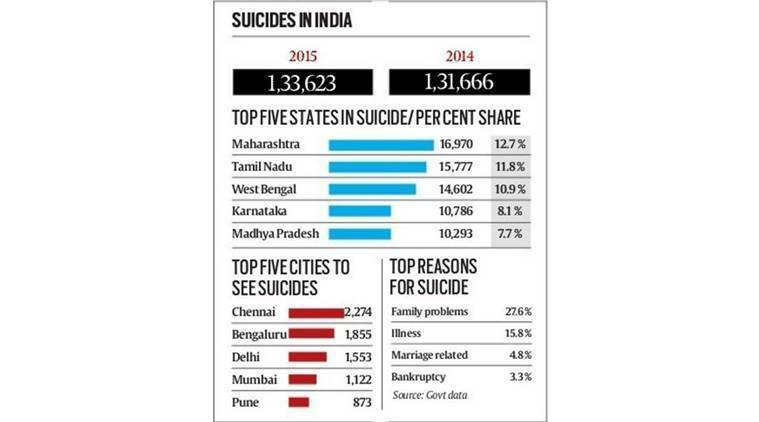 of suicide cases is increasing day by day. This stat is just the registered cases, what about the others. Hello Friend, I am from India and my state is Rajasthan. I am studying in 10th class. I also did well in previous classes. My parents don't put too much pressure on me. They always order me to read. Sometimes I get angry with them. My parents are careful to me. That's because I have a few knowledge (Less Learner)and You know what I am using Google Translate for translating from Hindi to English. You have so much Knowledge, Your knowledge should be respected. And I am sure that If I will have knowledge, My parents will respect my knowledge. My purpose was not to taunt you.i hope that you will not feel sad from me. I have used Google Translate but these ideas are mine. Is this you in profile pic ? You are so Beautiful. I'm glad that you respect my knowlegde and it not that i feel sad for what you said. I know that you are big in age from me. But can we be friends? Best Friends? Koi nahin friend bhi chalega. Today I will share with you my real love... That is K-drama. 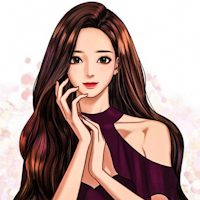 Many of you are aware of it and for those who are not, these are korean dramas of maximum 20-25 episodes with some hot and handsome actors and some gorgeous actresses. This is "Boys Over Flowers". My most favorite drama. It was my first drama which I started when I was in 9th grade. In this drama, Oh Yeon-joo, a heart surgeon, saves the life of a man who is from the virtual world of "W." It is a phenomenal drama and a very cute one too. This is " My Love from another Stars". It is also a sci-fi drama with lots of fun and love. I still watch korean dramas and many other asian dramas. These are really good and you learn a lot from them about your life and especially about your love. Everyone enjoy cartoons in their childhood, I used to even like it till date. My mother always taunts me "You're not a kid stop seeing all these cartoons" But who listens to them . I still love to watch various cartoons and enjoy them a lot. My mother says what do you learn from them. I used to say that I learn a lot from them. Actually its true. When I was in 8th grade, I was not much aware of the french revolution. In "Oggy and the Cockroaches" I saw that Napoleon was defeated by the king of england at waterloo. Frankly speaking, I didn"t even knew where Waterloo was? I have seen almost every episode.. what to do I don't get all the episodes on the internet. I used to enjoy this cartoon the most. Even my mom used to like it. I remember when I was just 4 or 5 yrs old I had a soft toy like tom. I threw it in the dustbin coz i hated him a lot at that time. I always said that he's a bad cat who's always after an innocent mouse. Besides my interests in dramas and cartoons, I'm crazy about songs. Being an Indian, I mostly listen Hindi or Punjabi songs( Regional languages of India). But I also listen to many other English and Korean songs. Oh didn't I mention that I'm a big fan of One direction. I love all the song of 1D .